﻿AATF membership is required to access some members-only site features. Our chapter hosts many great Professional Development events for Illinois teachers. Earn your PDHs and network with French speaking collegues! Check out the latest edition of our chapter newsletter as well as the archives of past editions. 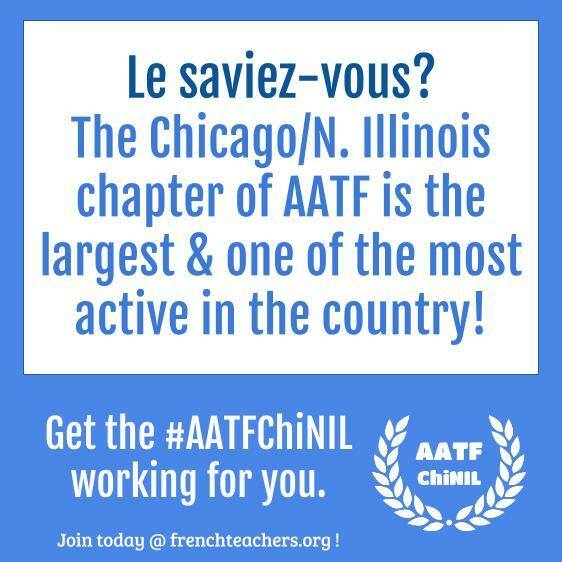 Francofeuilles includes important pedagogical information, the latest in French language resources, and recaps of recent AATF events. Let the AATF help your school celebrate this annual event: contests for students and special events for teachers. Learn how to participate in this annual competition! Students of French in grades 1-12, in all 50 states and abroad, take a written test and compete against students with similar educational background for prizes. Find out information about the newest venture for our chapter!